Dubno College of Culture and Arts in Dubno, a small city in western Ukraine. Modernist, Soviet architecture in the former USSR. The main building of Expo Georgia (formerly VDNKH Exhibition Centre) in Tbilisi. Modernist, Soviet architecture in the former USSR. Hotel Mir in Kharkiv, Eastern Ukraine. Constructed between 1977 and 1979. Modernist, Soviet architecture in the former USSR. Wedding Palace in Tbilisi, Georgia. Completed in 1984 by architect Viktor Jorbenadze. Modernist, Soviet architecture in the former USSR. Dubensky District House of Culture in Dubno, a small city in western Ukraine. Modernist, Soviet architecture in the former USSR. 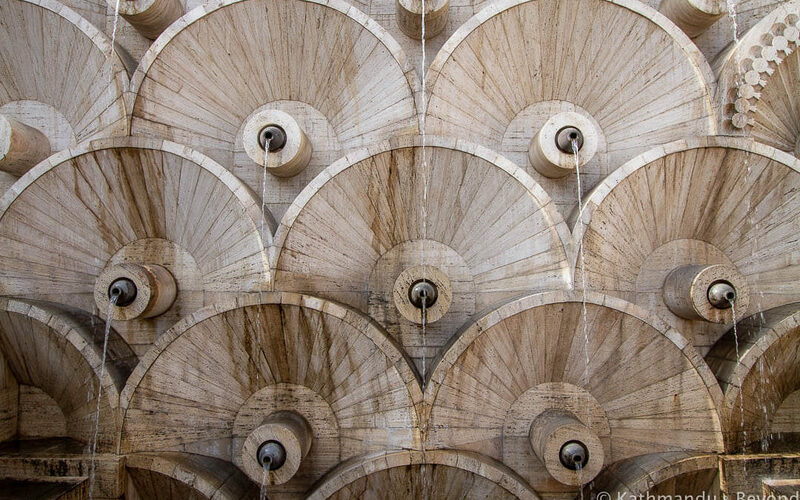 Yerevan Cascade Complex in Armenia. Architects J. Torosyan, A. Mkhitaryan and S. Gurzadyan. Modernist, Soviet architecture in the former USSR.